Being scared of the unknown is a common trait. For the unlucky ones it takes the form of panphobia (fear of everything); others adopt coulrophobia (fear of clowns), but almost all us carry a deep rooted strand of hylophobia – the irrational fear of forests or woods. What spurs this remains a mystery. Maybe it’s the threat of being lost in its darkness? Perhaps it’s that deep in the forest nobody would hear your cries – or maybe it’s because it’s home to some of cinema’s most perverted psychopaths. From the haunting settings of New French Extremity cinema to Bulgaria’s creepiest woods, it's time to get lost in the forest. Picture Parent Trap on PCP and you’ll be getting warm to the horror of Sleepaway Camp. Suffice to say, gleeful jocks playing ball and all-American gals brushing each other’s hair at Camp Arawak is not what garnered this movie’s cult slasher status. Considered as one of the most shocking endings in horror’s history, there isn’t one log cabin that hasn’t been coated in happy camper blood by the time the lights come up – and that’s not the worst part. In the words of the psychotically paced narrator, “Sleepaway Camp – you won’t be coming home”. Robert Fuest’s And Soon The Darkness is one of the earliest pioneers of the ‘holiday from hell’, a re-hashed sub-genre that has come to form horror’s right-hand-man. Boasting enough suspense to eliminate the need for a midnight forest foray, the entire movie is filmed in broad daylight. Following Jane (Pamela Franklin) and Cathy’s (Michele Dotrice) bike trip in rural France, the film starts to the soundtrack of gentle acoustics and rises to a crescendo of devil-dipped horns. Elevated to Euro-cult status, it proves there’s more to 70s savagery than thick tresses, blunt cut bangs and pastel coloured tie-tops. Cropsey is the name of the Staten Island child snatcher – an urban legend, of sorts. Some say he had a hook for a hand, others say an axe was the weapon of choice. In 1987 when 12-year-old Jennifer Schweiger went missing, that myth became a reality. Andre Rand, a wandering loner who lived in Staten Island’s Willowbrook woods, is currently serving a double life sentence for the kidnapping of two young children and is suspected in the disappearance of three more. Barbara Brancaccio and Joshua Zeman’s feature documentary draws a spooky parallel between fable and forensics. Selected as the 1974’s British entry to Cannes, Symptoms is a deliberately paced psychological thriller. 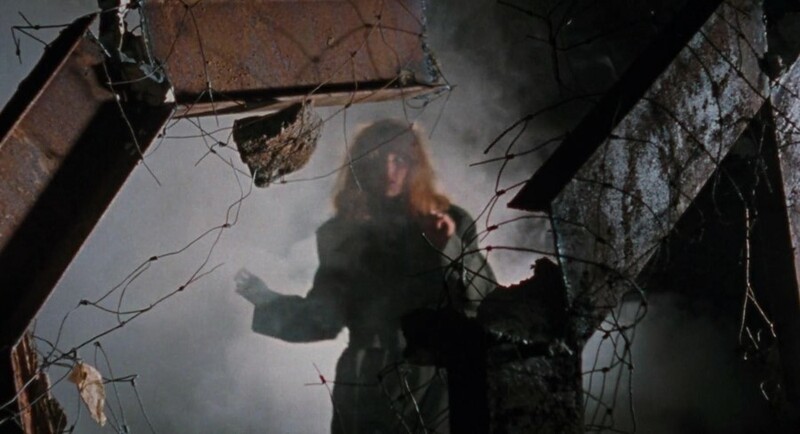 Set in an isolated mansion in the middle of the woods, Angela Pleasance – all gaunt eyes and piercing cheekbones – brings the film’s neurotic protagonist to life. Despite exploring large themes of lesbianism, murder and mental illness, José Ramón Larraz’s movie is much more about conjured tension than the thickening of a meaty plot. Splinter, directed by The Grudge 3’s Toby Wilkins, is low budget but high-impact. Dormant gas station, a camping trip gone wrong, a flesh eating virus, some darling rednecks and the shadows of an ancient forest – this 2008 movie gruesomely ticks all the requisite boxes as an ultimate spooker. With a frenzied whirl of CGI, close ups and panic-stricken cross-cuts, you’ll think twice before you pull over to the side of the road again. Released by Hammer Films, the company credited with pioneering British horror with productions like Frankenstein and Dracula, Vampire Circus is evil cackles aplenty. Ticking every box on the horror roster – evil Counts, clowns, crows and corpses – the 1972 classic takes place in 19th century Austria. As a travelling troupe arrives in town, the residents soon find out there’s more to it than meets the eye. Maniacal vampires are only just the beginning. Chloë Moretz may have dived into the dark side for the Dark Arts issue, but she’d crossed over way before Dazed got there. Rewind to 2006: as zombies rear their ugly head, little Emma (Moretz) is forced to crawl through a mutinous forest in a desperate attempt to gain salvation. Wicked Little Things is a glossy film mash-up that combines several horror tropes: zombies, isolated cabins, ghost children wreaking vengeance – but it's worth watching for Moretz's proto-Carrie horror credentials. Murder mystery meets tripped-out-thriller, Kiss The Girls will make your stomach curdle. Starring pre-Hollywood institution Morgan Freeman, the film follows the search for serial killer Casanova’s victims in the black forests of North Carolina. Expect hair-raising suspense and a sweat-drenched sleep. It’s exactly this type of cinema that makes you watch your back. With enough spilt gore to fund Give Blood, this is not for the faint hearted. High Tension, a French New Extremity film that served as Alexandre Aja’s breakthrough, is disturbing by anyone’s standards. Loosely based on the novel Intensity by Dean Koontz; in 2010 it was named in TIME's ‘Top 10 Ridiculously Violent Movies’ and rightly so. If you fancy seeing someone being disemboweled by a concrete saw, now’s your chance. Shot in Tennessee, this demonic thriller was initially filmed as a promo to attract investors, but quickly became a cult classic in its own right, launching Sam Raimi as a horror filmmaker par excellence. Gruesomely irresistible, it went on to show at the 1982 Cannes Film Festival, where it received plaudits from Stephen King and was later picked up by New Line Cinema. The now-iconic plot revolves around an all-American college cabin vacation that turns into unfathomable fright. When the film was first premiered in Detroit's Redford Theatre, Raimi heightened tensions by situating gory gimmicks inside the cinema and employed ambulances to line the street outside. Despite two sequels and a remake, stick to the original – The Evil Dead is evil royalty. This feature is the third part of a series examining tropes in horror movies. For the first part, on body horror, click here. The second part, on women in horror, is here, and the third on techno horror is here.